The sun has been trying to make more of an appearance in the past couple of months up here in North Wales. 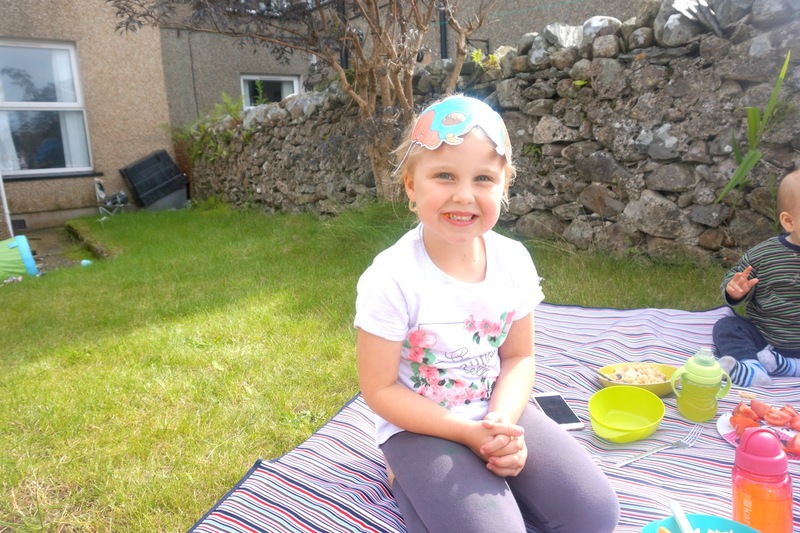 When the sun is out, I always try and make the most of it by either going out for a walk, taking the kids to the park or just sitting out in the backgarden for a couple of hours, as long as we are out of the house. But if it is too hot, I'll try and find somewhere sheltered or not stay out too long as I get worried incase the kids burn. 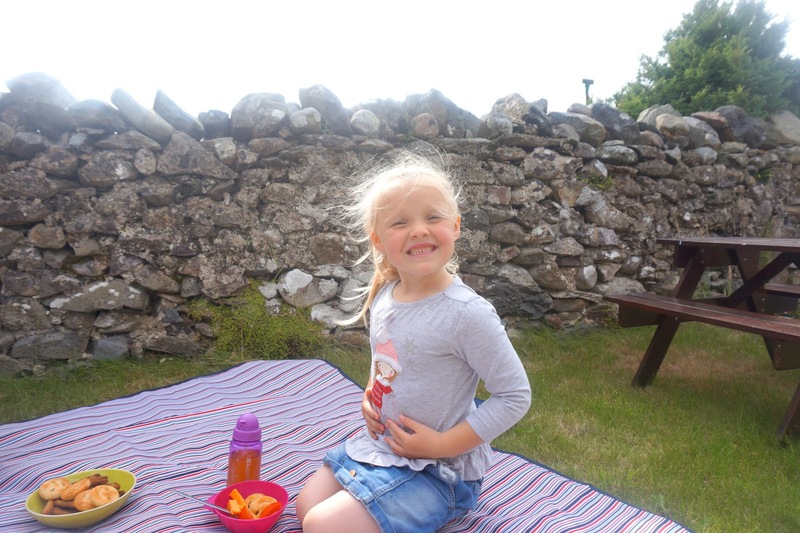 One of the things we have been doing often this year when the weather is nice is having a picnic and a BBQ out in the back. Picnic Blanket - One thing I hate is sitting on grass and sand. I always end up sitting on one of our jackets or one of the kids' blankets. 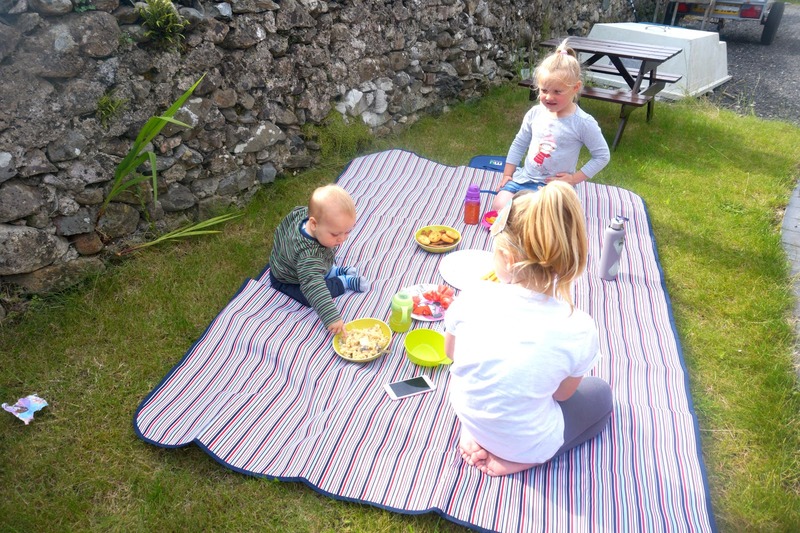 When we were sent the MIU COLOR® Foldable Large Picnic Blanket to review, I couldn't wait to go out for a picnic and be comfortable. So far, we have only used it on grass and it has been great. It's a large blanket which folds up small, which is perfect for storing away when not in use. The size is 5x6.5 feet which is great for a family or a group of people. It's a waterproof and sand-proof blanket which is great for the beach. It's a polyester material on the top and PVC bottom with a soft foam layer in-between. Really easy to clean with a damp cloth, or a wet wipe as I used. There are 4 different colours too choose from. Disposable/Re-useable Cutlery - Depending what food you have some cutlery is always handy to have. I personally buy the disposable ones so I have no washing to do afterward and I can recycle them. Also, cutting knives might be handy to pack depending what food you are taking with you. Water Bottles - I find having water bottles are much easier than putting drinks into cups, especially when there are kids around. 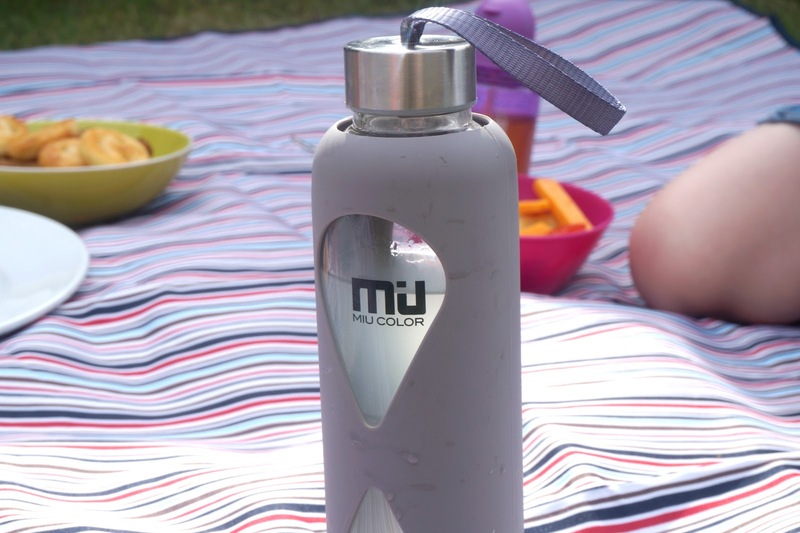 I was given the MIU COLOR® Glass Water Bottle which is available in various colours. It's really easy to clean by removing the silicone and hand-wash them with the cleaning brush that come with it. It's an eco-friendly and safe bottle that's made out of high-grade borosilicate glass that's very durable. It's not a light bottle, but not too heavy either. It holds 550ml which is great for days out. 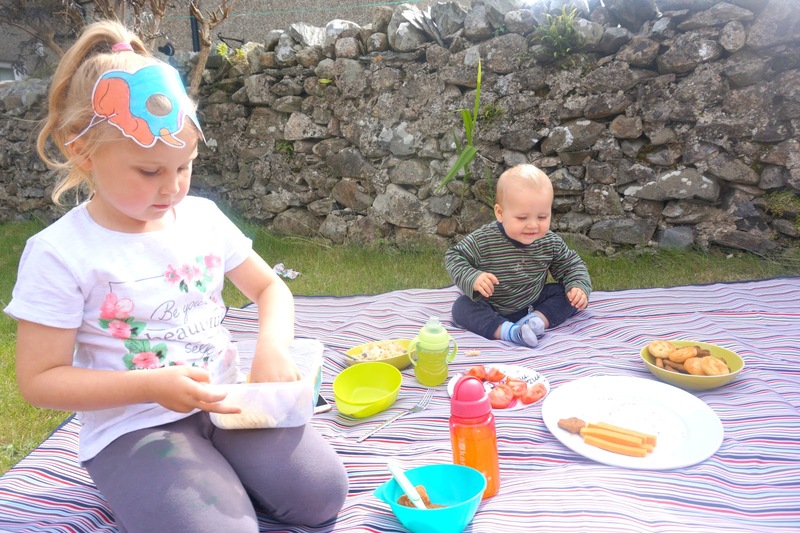 Napkins, Cups and Plates - These are all a must for picnics. Cups are a must if you're not using water bottles. Napkins are great to clean your mouth if you've missed your mouth! Ooops. There is a choice of paper or plastic plates. You could reuse the plastic plates but the paper plates are great for recycling. Containers and Snack Foods - Try and avoid hot food. 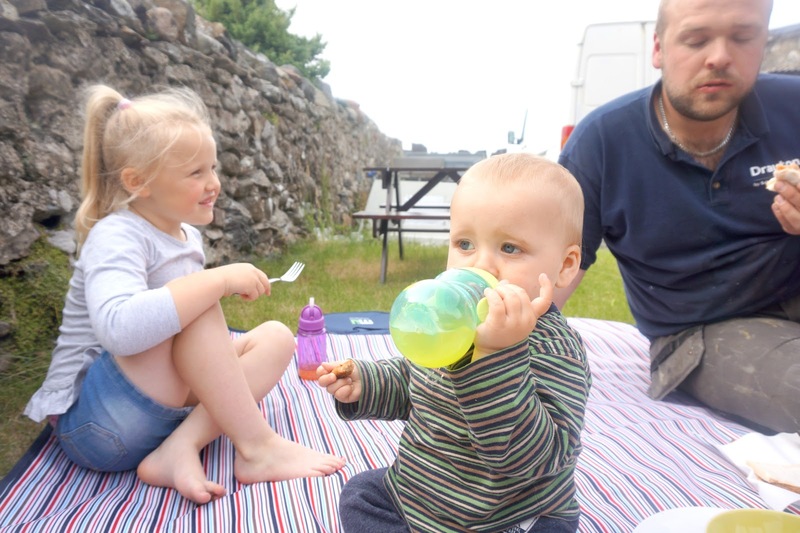 Having buffet, cold food such as sandwiches, sausage rolls, crisps etc are best for picnics. You can pack the food in air-tight containers or wrap in foil to keep fresh. Rubbish Bag - Last thing you want to do is leave your rubbish everywhere. Make sure you bring a plastic bag and pack all your rubbish then put it in the bin when finished. Picnic Bag - You will need somewhere to keep all your picnic essentials. What better than a lovely picnic bag or basket. There are many around at great prices this time of year. Do you like going out for picnics? * We were sent items in return for an honest post. All words, images and opinions are entierly my own.